Technology budgets are converging across organisations and marketers are looking to become their organisation’s top technology influencers and spenders once again this year, if four Australian CMOs are any sign of the times. In line with its infamous proclamation that marketing will be spending more on technology than the CIO by 2017, recent figures from Gartner suggest CMOs will indeed to rivalling IT departments when it comes to technology expenditure this year. According to the analyst firm, the average CMO spending on technology during 2016 was 3.24 per cent of revenue, against 3.4 per cent of revenue for the CIO. In addition, a new research report from The CMO Club found CMOs increasingly owning the digital strategy – more so than the CIO or technology chief – highlighting marketing’s growing technology role. That survey reported 60 per cent of marketers were defining the need and identifies a digital marketing or technology solution before turning to the IT function to act as implementer, and 13 per cent are also doing the implementations themselves. In light of these findings, CMO spoke to several Australian marketing chiefs to find out how their technology spend is now comparing to their CIO counterparts, their growing role in not only influencing, but also making decisions on technology purchases, and what martech investments are on the cards in the next 12 months. HCF CMO, Jenny Williams, says technology investment generally falls within an overall project portfolio budget rather than being divided up between IT and marketing. “But it’s fair to say that over the last few years, HCF has increasingly invested in technologies that sit within the marketing department’s scope to deliver,” she says. This list has included an enterprise content management system, investment in marketing automation, DSP and DMP technology and various digital data tracking systems, all aimed at gaining greater visibility and optimisation. Postal services company Sendle, doesn’t have a CIO. And as a technology-led operation, its co-founder and CMO, Craig Davis, suggests all divisions are in the information business by design. Over at Mercer, recently promoted marketing chief, Cambell Holt, says the IT department works collaboratively with the rest of the business in servicing the technology requirements within any area. As an example, Holt highlighted Mercer’s recent investment into developing a complete psychographic segmentation model. “The implementation of that model across our marketing communications intersects with a wide range of systems, so we are a stakeholder within those decisions,” he says. 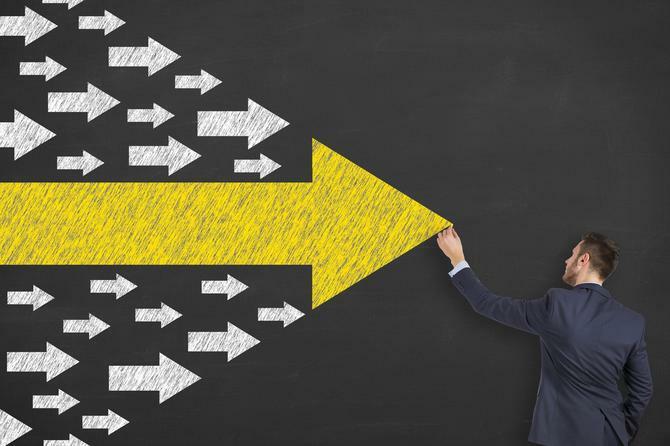 All CMOs also agree that when it comes to choosing, purchasing and implementing marketing and digital technologies in their organisations, marketing is taking a much bigger lead. “We take the lead, make the business case and do the discovery and due diligence which always includes consultations with our CTO and leadership team on strategic issues, dependencies and implementation,” Davis says. Holt says marketing has a significant influence over choosing, acquiring and implementing digital technologies right across the Mercer business including call centre, insights and analytics, Web platforms, CRM and automation. But Holt is quick to add he couldn’t do this without a great relationship with his CIO, and says his IT counterpart, Terry Godfrey, is a poster child for progressive CIOs. “We couldn't be successful without our great partnership with the technologists,” he says. Adtech and marktech investments have also grown considerably over the last couple of years at MYOB. The accounting software company’s marketing leader, Natalie Feehan, says that’ll only continue to increase as the team implements new tools and change existing infrastructure. “The budget growth isn’t just about licensing fees but has considerable impact on resourcing as people are required to integrate and support the tools to enable our marketing activity,” she comments. “This technology need has far reaching consequences as it impacts marketing teams capabilities and workflows as well as their relationships with traditional IT. However, traditional IT spend will always be greater given the volume of product cloud use and how large a customer the vendor is of Microsoft Azure and Amazon Web Service, Feehan says. All of this means marketing at MYOB is working highly collaboratively with IT. "The complexity of the integration determines the involvement – light touch can be managed within the marketing team and this is true for MYOB, where we re-platformed our CMS needing minimal technology support," Feehan says. "However, a more complex integration such as marketing automation that requires heavy data integration to realise the benefits of real-time omnichannel communication has to be done in partnership with teams across the business. It requires an organisational Agile approach and a merging of mindsets and skills." When it comes to marketing technologies these Australian marketers are investing in, the emphasis is squarely on improving off a recently established marketing tech stack. Williams, for example, says her team’s core focus is on further implementation of its martech stack to take advantage of new opportunities available in the market. “This is primarily in the area of marketing automation and programmatic media,” she says. At Mercer, the emphasis in 2017 is on technologies that can provide personalised, contextualised experiences at every customer interaction. “We're focused on leveraging our deeply embedded automation tech to create more and more proactive outbound interventions with our existing customers, and for scaling up more personalised experiences for our newly onboarding customers,” Holt says. “This means we’ll be talking mostly about next-best conversation, automation and customer service/advice engines throughout 2017 and the way they leverage our core technologies like CRM and our Web platforms. Davis, meanwhile, says the Sendle team has recently rolled out HubSpot’s inbound marketing platform, and is now looking to employ more sophisticated variations testing and measurement of key Web assets. “The application of artificial intelligence in support environments is another gap we’re trying to fill,” he adds. At MYOB, recent martech milestones included replatforming the Web CMO to Adobe Experience Manager, along with implementation of Adobe Target for testing and optimisation. "We are already seeing considerable user experience and internal workflow benefit of each – they are enabling us to increase automation, scale and our core objective of an improved user experience," Feehan says. "These foundational pieces are enabling us to think far bigger than we have previously and our user experience ambitions have step-changed as a consequence." Accessible data also got a lot of focus in 2016 and continues to be a priority into the new year. "We are close to having the full suite of the adtech and martech we need," Feehan adds. "The story for 2017 is about tightening the integrations and pushing the tools."